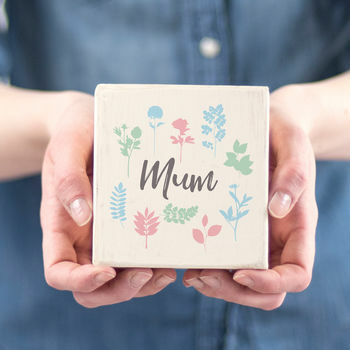 A perfect thoughtful keepsake for Mum, Grandma or a new Mummy this Mother's day. 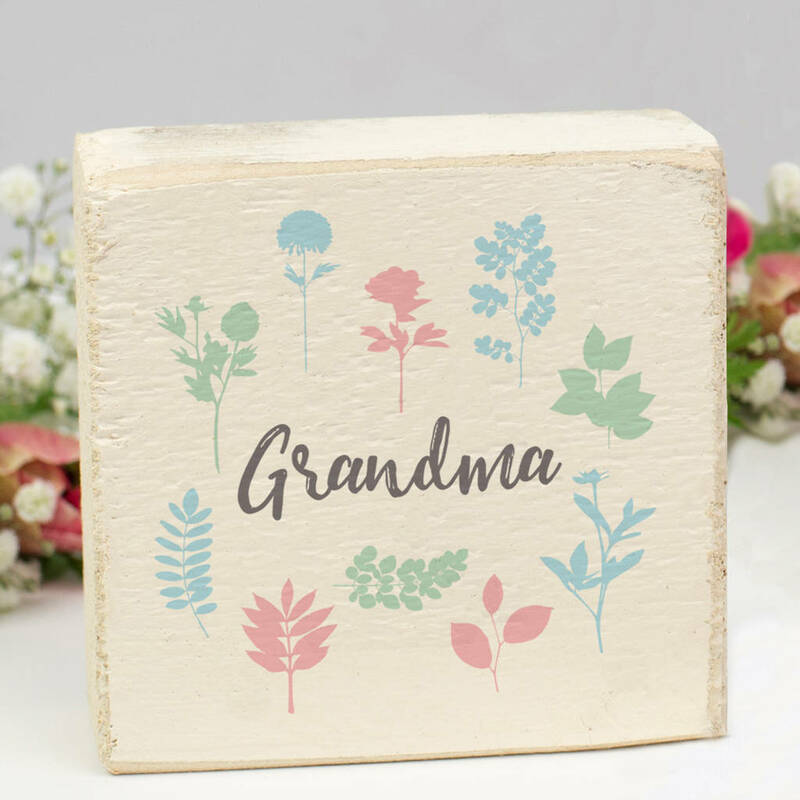 Featuring a botanical design in pretty pastels with personalised wording. 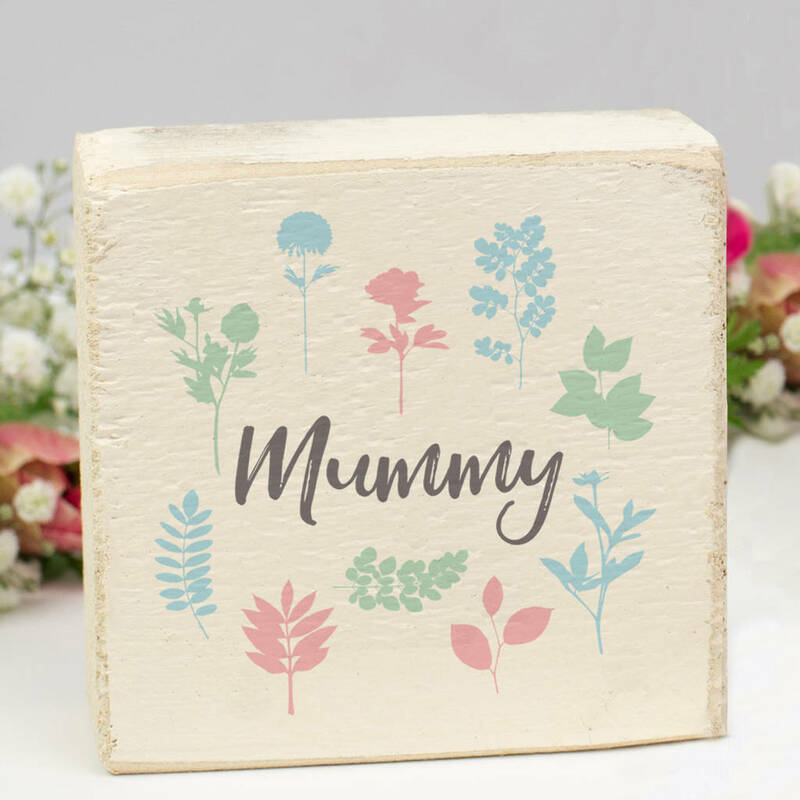 This is a beautiful keepsake for Mum, Mummy or Grandma to treasure, designed to be displayed on a shelf in the home and kept for years to come. This wooden block made from rustic reclaimed timber is lovingly crafted in our small Derbyshire workshop and studio just for you. Each wooden block is painted cream and slightly distressed for a timeless look. 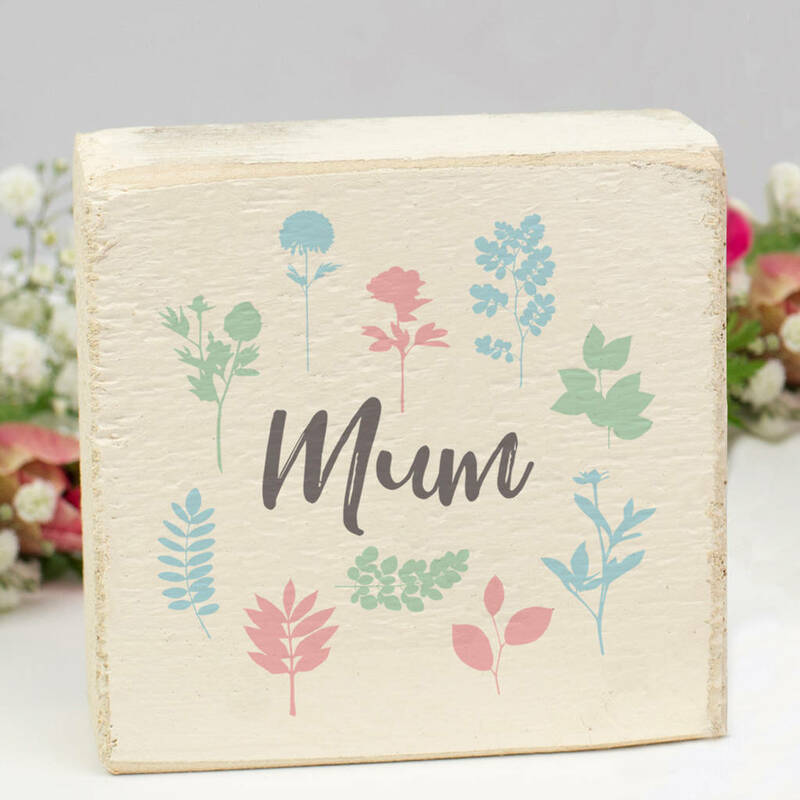 The botanical design in pastel shades adds to the charm of this lovely keepsake for Mum. The perfect mother's day gift, show mum how much she is appreciated with this sweet message token that can be fully personalised with your own message. Buy this for a new mum, older mum, step-mum or grandma this Mothers Day. 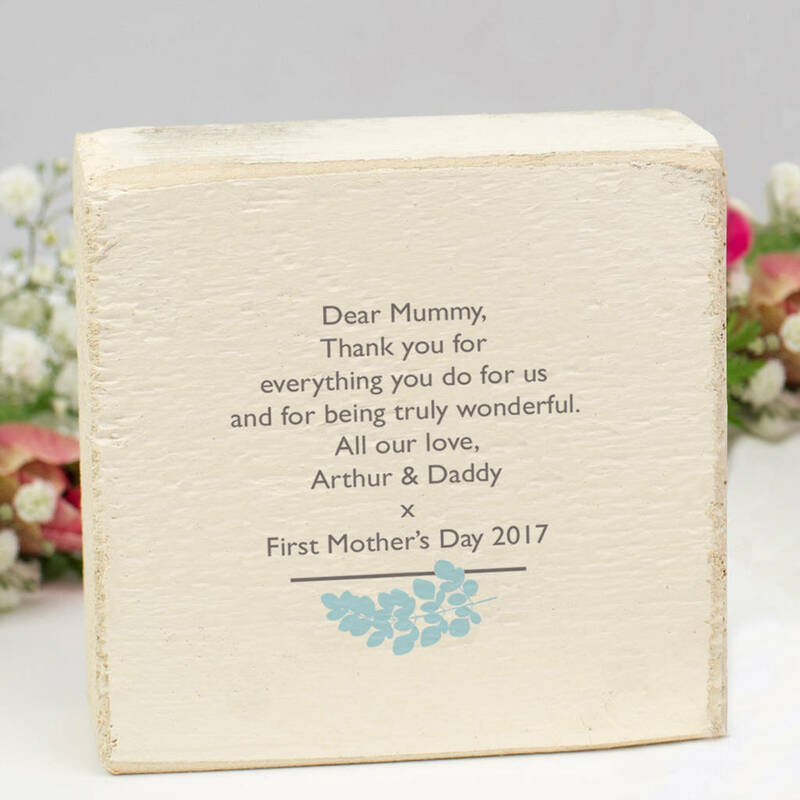 Personalised this mother's day keepsake block with a name on the front. Then choose whether you would like to add a special message to mum to the reverse. 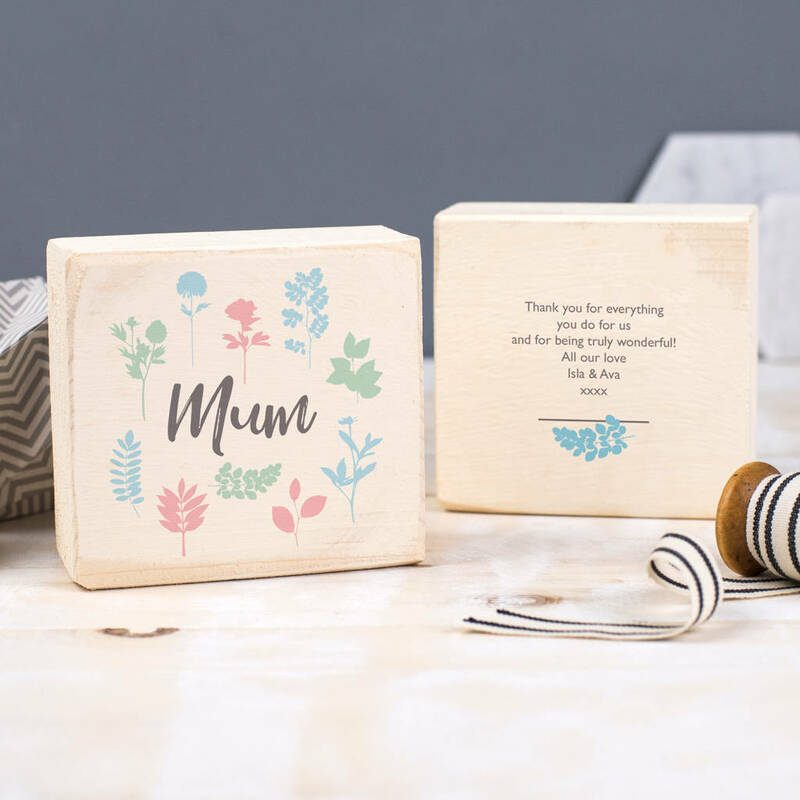 A lovely little message token, this wooden block will be treasured for years to come. The delicate botanical flower design is printed in pretty pastel colours, with the text printed in a slate grey colour. 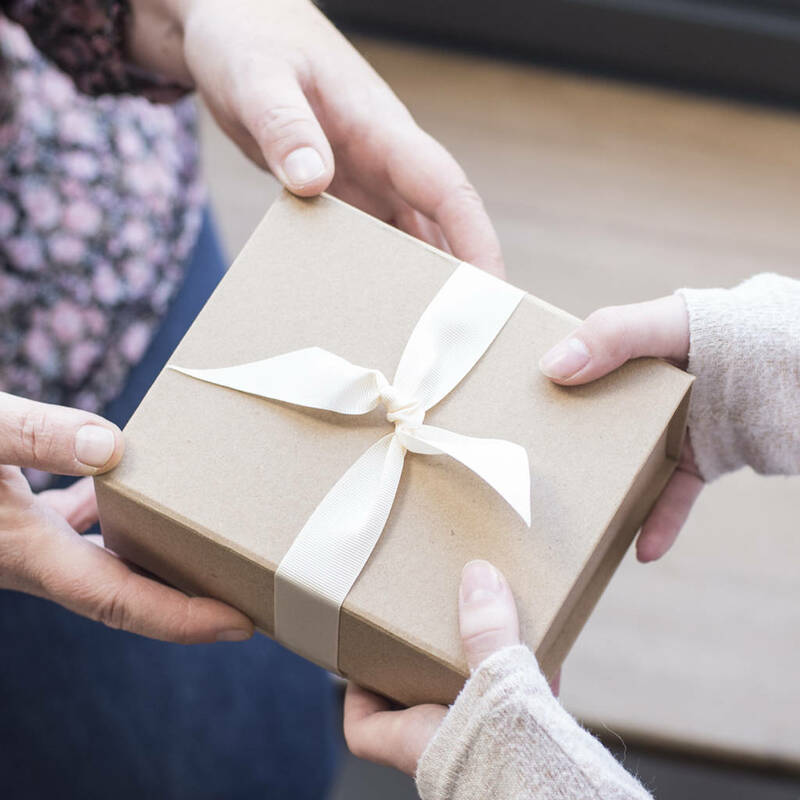 Choose whether you would like to add a gift box to your order.